Laid down, 30 September 1943, at American Bridge Co., Ambridge , PA. 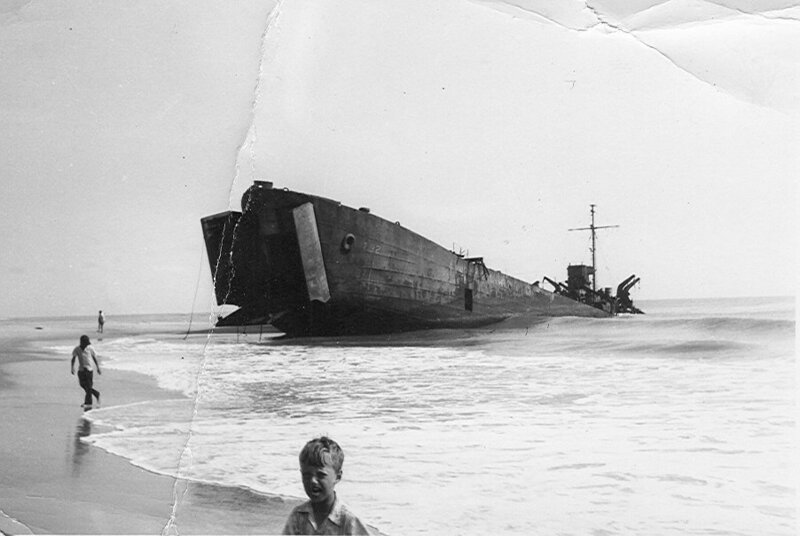 Final Disposition, sold for scrapping, 21 January 1948, to Hughes Bros., New York, N.Y.
185k USS LST-326, USS LST-292 and USS LST-543 on Omaha Beach, Normandy, circa 1944. 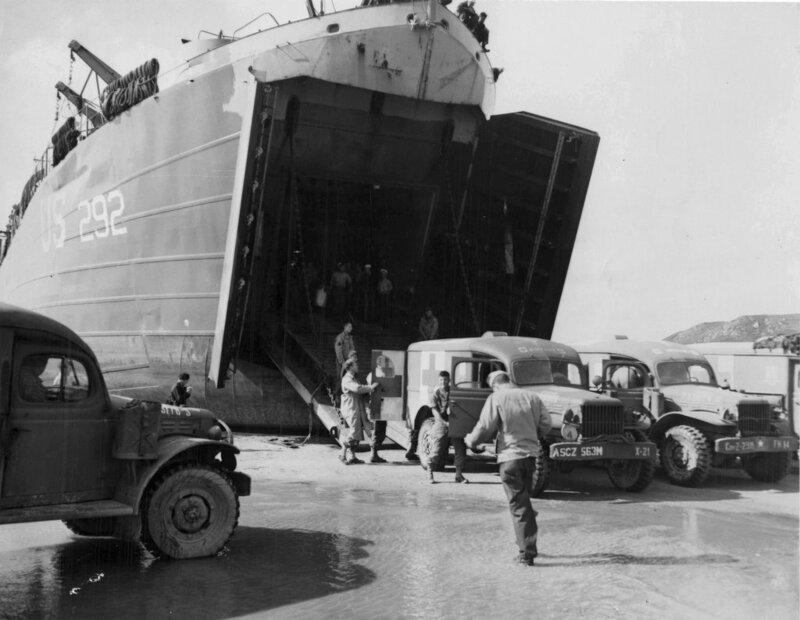 118k Dodge field ambulances unloading wounded troops into the bowels of USS LST-292 at Normandy. 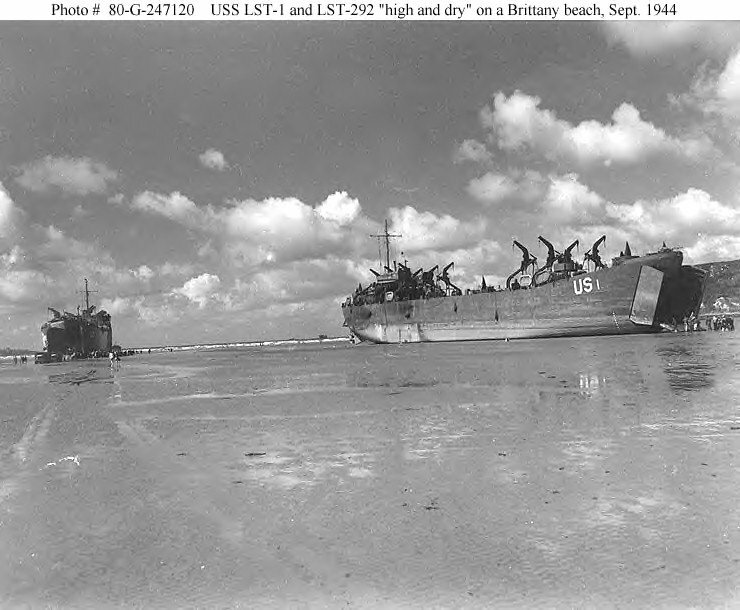 88k USS LST-1 (right) and USS LST-292 "high and dry" on the beach as Saint-Michel-en-Greves, on the north shore of the Brittany Peninsula, during supply operations in support of the campaign against German forces at Brest, France, in September 1944. Taken by a SHAEF photographer.